Tarek Chemaly: Almaza - the (deja vu?) 85 years ad that finally works! Almaza - the (deja vu?) 85 years ad that finally works! And so finally it worked! Almaza has issued its 85 years TV ad and finally - thankfully - it works. The ad speaks Arabic thankfully, and goes back to the history of the brand since 1933 with archival footage mixed with present day people drinking th beer. The mix and match is well-done digitally and it works. 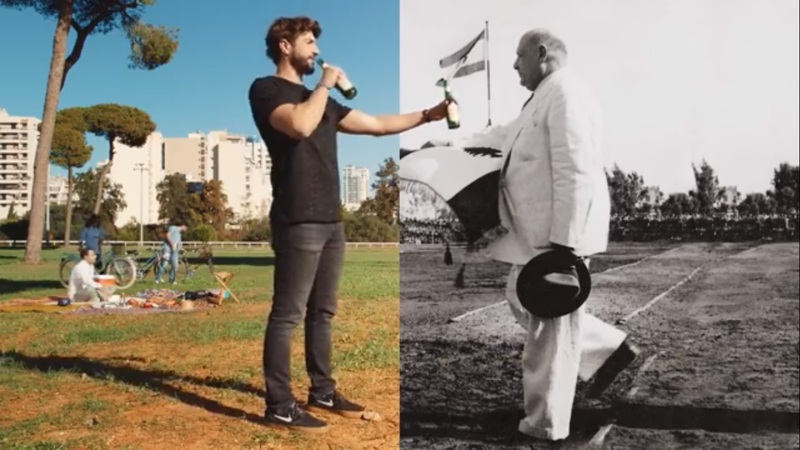 Maybe, just maybe, because the new ad by Leo Burnett looks like two drops of water - or is it two drops of beer? - like the ad that Intermarkets did for the brand's 75th anniversary (which you can find here)?